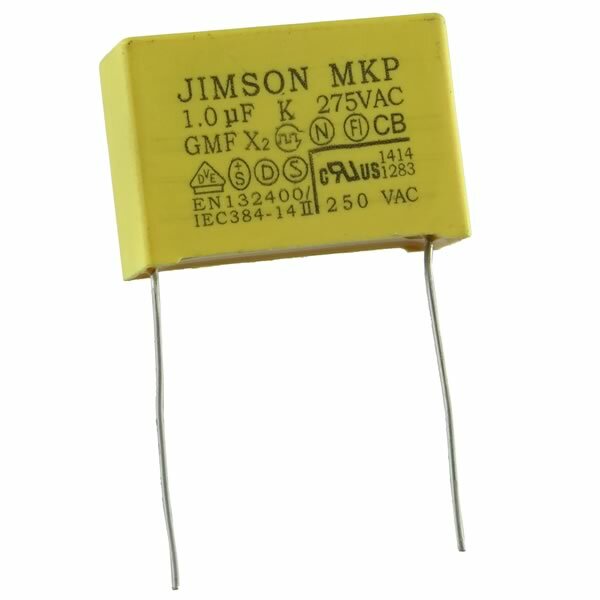 Polypropylene film 1.0uF 275VAC MKP X2 GMF capacitor made by Jimson is encapsulated in reinforced flame retardant plastic and sealed with epoxy resin. Size of cap (excluding leads) is 1.25" wide x 0.86" tall x 0.50" deep. Has two full length radial leads.